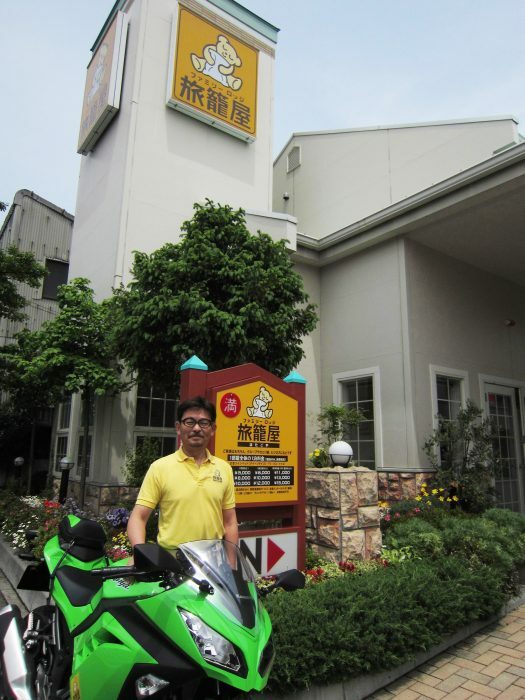 Makoto Kai, 62, is the founder and CEO of Hatagoya Co.,which operates Japan’s only motel chain. 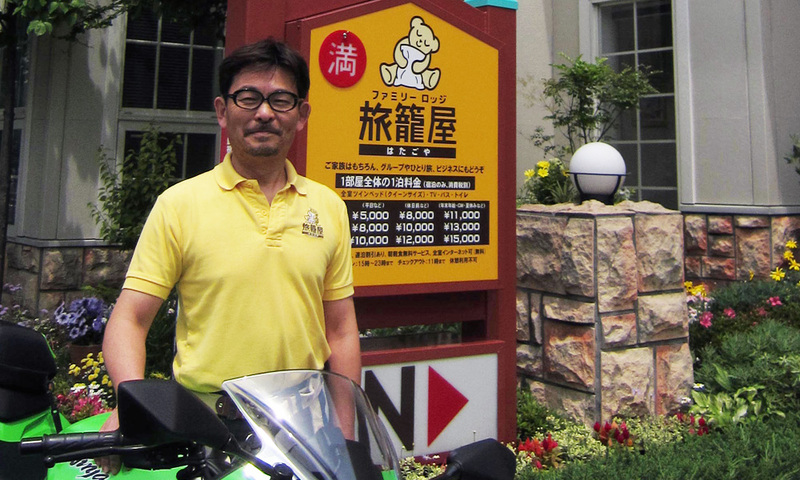 Kai, an avid biker, started the business in 1994 out of frustration with the lack of comfortable and inexpensive accommodation across the Japanese countryside. After traveling around the United States and staying at motels there, he was sure that many Japanese would appreciate the freedom and service they provide. Time proved him right and today 45 Hatagoya motels offer a good night’s sleep to drivers and their passengers — including furry ones, as a few rooms in each motel are reserved for those traveling with their beloved pets. At the end of the day, you just can’t listen to others. Better yet, don’t listen to anyone from the start. If you want to begin a business and you share your idea with others, whether they are successful business owners or just friends, Japanese will likely respond with: “Yes, we need such a business in Japan! But if this was really a good idea, someone else would already be doing it.” But in the U.S., the usual comment is: “Great! Do it!” I figured that nobody knows anything when it comes to doing something new. So instead of talking, I began doing. The biggest issue for a new company is to gain trust. In Japan, this takes years, which is often enough time to lose the business. I created a motel that didn’t exist in Japan but I wished it did. Luckily, many people have the same taste as me. My needs are simple: park my bike in front of the room, check-in quickly and be left alone in a clean, big room with comfy beds and free high-speed Internet. I need a bathtub and a washlet and I’m happy. All this for ¥10,000 for a family of four and we even serve a complimentary breakfast of warm croissants, orange juice and coffee to make sure people hit the road in good health and spirits. Japan has no venture capitalists. Some people call themselves venture capitalists, but the farthest they would ever venture would be to invest ¥100 and even on that, they would want ¥200 back. In the U.S., venture capitalists are individuals who take risks. In Japan, the last thing people want is risk. We don’t even have capitalists, so how could we have venture capitalists? Stay curious at every age. Once we get older this is actually easy as we are returning to our childhood. Once you name it, you love it more. My two Kawasaki bikes are named Kaoru and Kaeru. We have a history and it would be difficult for me to just replace them with newer machines. If you are thinking of starting a business, be very honest with yourself. Know what you love and hate because no matter how much you like the idea of a business, the day-to-day operations will surely make you hate it. If you can still continue, the love will return, but the money may never be much. Can you still enjoy the work then? Losing a pet is devastating. This April, our golden retriever, Maggy, suddenly died at the age of 8. Since then, my wife and I can’t sleep at night and we cry a lot. We miss her so very much. When a couple works together, they are more likely to succeed. They have one life together and they want to make it. This is why all our motels are managed by couples. It doesn’t matter if they are married or not, but being a couple that gets along well is the job requirement. So far this system has been a huge success. Before saving the world, save one person. Or two. . . My goal is to give people a chance. Not only a second chance, but often the last chance. Many of our employees had tough lives. Some failed in their own businesses and because of their age, many would not be hired by other companies. I’m happy to hire them because they really need a job, especially one that they can enjoy and be proud of. Ittōshōgū bantōshōkō means if we carry a light, it will brighten the surroundings and show the way to others. CVs are not important, first impressions are. I hire people based on my feeling about them. We have 45 motels with about 58 couples working in them. The 13 couples are always moving around Japan, each taking care of one of the motels so the local managers can take a vacation. This ensures that everyone gets a break and also gives us a chance to check if the traveling couple does a good job. The ones that pass the test of our local managers will manage our next motel. Without my wife, there is no Hatagoya motel and there is no me. She supports the staff and me 100 percent. She’s in the shadows, but she casts a long shadow on all of us. Our motels exist so people can explore the countryside, do some trekking, hiking and fishing. The idea is not to just drive to a point of interest and return, but to keep going. My dream is that people will be able to bicycle around Japan and stay at our motels throughout their journey. A version of this interview appeared in the Japan Times on May 23rd, 2014.